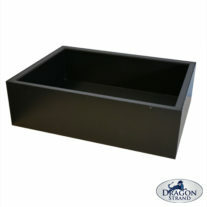 Drainage trays collect excess water that reach the bottom of the cage. Cages rest on top of the Drainage Tray and can be lifted off when a thorough cleaning of the tray is necessary. Trays may be emptied of water by turkey baster or hand pump if your hydration protocol produces more water than evaporation will accommodate. Note that one sides shorter than the others. It is this side that is the front. The wall is shorter to accommodate the trap door swinging up. 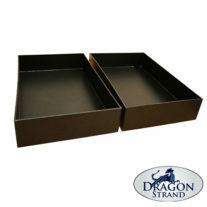 Each cage footprint has a compatible Drainage Tray. 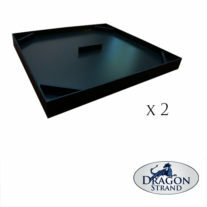 Please ensure you order the correct tray size. The DSDT2424XX-B XLarge Breeder Drainage Tray is compatible with the X-Large Breeder Cage. 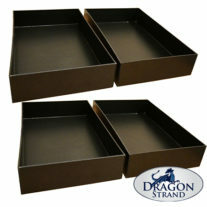 The inside dimensions of this tray are 23.75″ Wide in front by 24.75″ Deep. 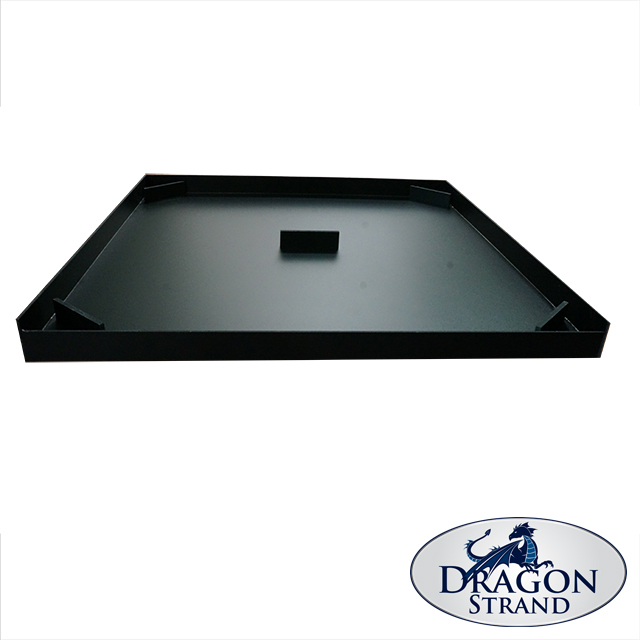 If you are purchasing this tray for a cage other than a Dragon Strand X-LargeBreeder Cage then please take measurements of your cage to ensure it will fit. Note that, in this industry, dimensions tend to be rounded so a 24″ x 24″ x 48″ cage may not be those exact dimensions. Make a physical measurement.